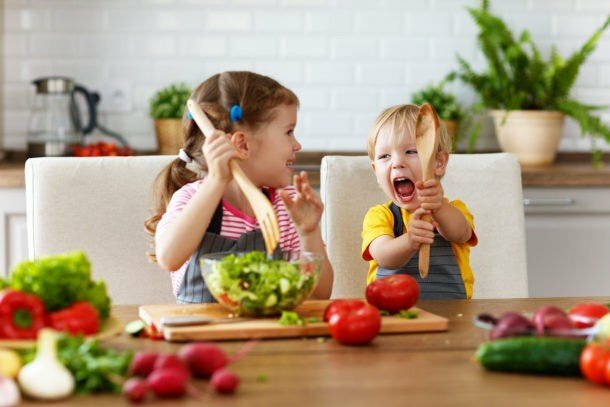 In Part 1 of this series on vegetables, which includes some experts from this post, I shared some quick and easy ways to get more vegetables into your kid’s diet. And in the Mega List of Vegetable Recipes you have lots of specific recipes to inspire you! But, sometimes, especially with a picky eater, you may want to customize the veggie your offering even more and for that you need to plan. 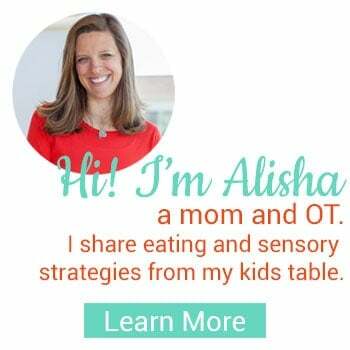 Of course, the recipes I share in these two other posts incorporate these strategies, but now you’ll be able to brainstorm your own ideas and find more recipes that will likely be successful for your kid! 1. Consider size and quantity. Small pieces and a small amount are always the way to go. 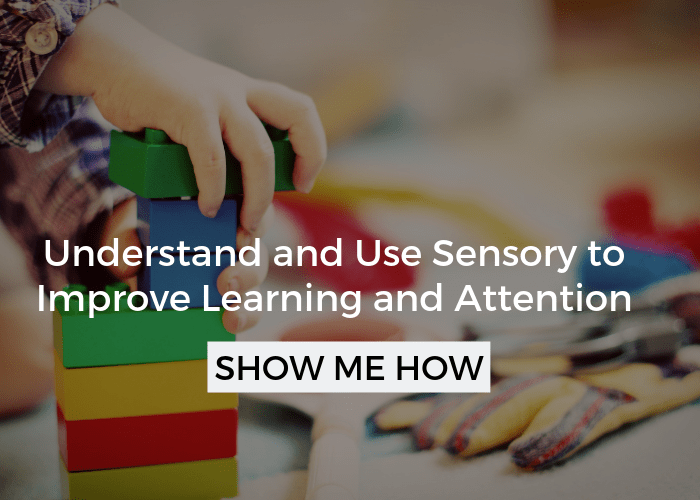 Kids can be overwhelmed with their eyes first and texture second. Biting or chewing through a little piece will help them explore the texture, which can be really different, before being overloaded by it. Spinach inside of ravioli is great, but if it is all spinach they may not go for it – at first anyways. 2. Consider mixing the veggies with something else. Yes, I know this can be a double edged sword. Many kids refuse casseroles and foods that are mixed together, but it is still worth a try. Besides, it is good for kids to see foods mixed together sometimes. Keep the veggie you’re mixing in small and don’t add too much on your first try. If possible, let your kid know in advance that you are mixing it all together or even better, cook it together. You can also remind your child that it is their choice to pick out the veggie, but this is how you are serving it for the family. However, I would only offer that up, if they seem to be getting stressed. 3. Put veggies between or on some type of bread. For example, add veggies to the inside of a quesadilla, burrito, sandwich, or pita. The bread and other foods mixed with the veggies help to soften the strong tastes and different textures. 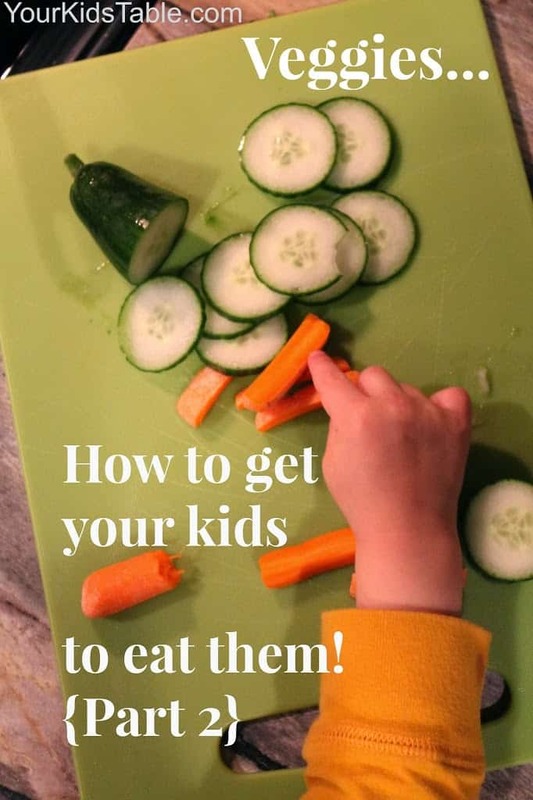 Let me be clear though, the point isn’t to hide the veggie, in fact, I want you to point it out (casually) to your kid, if you haven’t already. Chances are they are going to detect it anyways and then feel like you were trying to dupe them. If they helped you cook, then they know it’s there and will be more comfortable with it. Ultimately, if they think you tricked them, they likely won’t eat it. 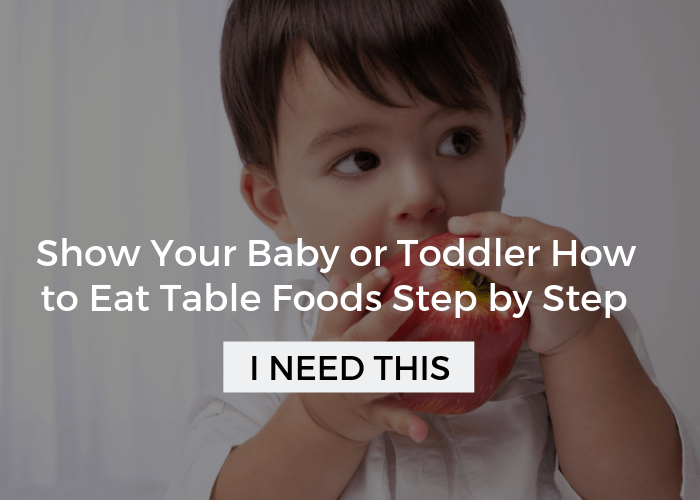 Most kids love bread and bread products – if your’s doesn’t, than skip this last step. 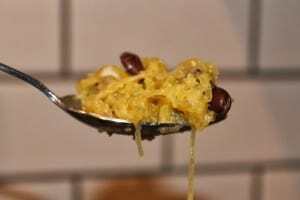 How About Some Spaghetti Squash? A few weeks ago I wanted to serve spaghetti squash as a main part of our dinner. This is a non preferred food for both of my kiddos. Well, Sam will usually try it, but I really wanted him to eat it, a full serving of it. 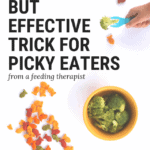 So, I had to put my therapist hat on (it is usually on anyways) and think about kid’s issues with veggies. Alright, so now you know my line of thought, I decided to make up an original creation with what I had on hand and it ended up turning out really well. See the recipe at the end of this post. I should point out that the strategy I’m describing is the beginning of getting your kids to eat veggies. 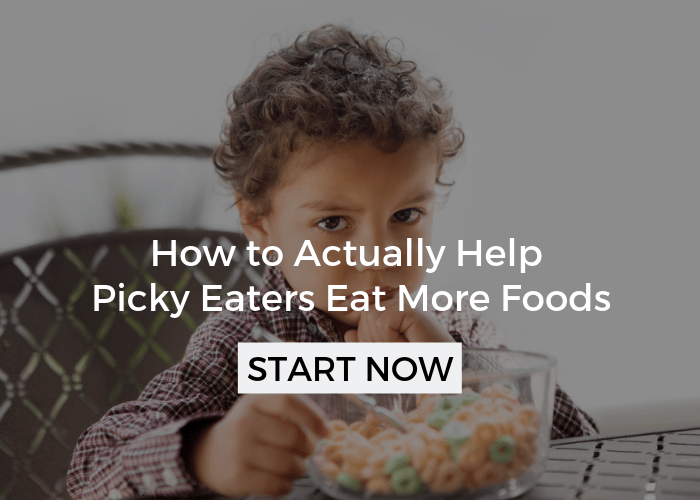 Once your kid is readily eating them in this fashion, they will be more likely to try them prepared in other ways. In the meantime, keep serving vegetables in a variety of ways and encourage them to at least touch, smell, or lick it. More on that here. *tomatoes would have been great in here, but I didn’t have them. Slice spaghetti squash down the center. Remove seeds and spread with olive oil. Place face down on a baking sheet in the the oven at 400 for 30-45 minutes or until a fork easily pulls squash apart like spaghetti. While squash cooks, slowly saute meat in chicken stock, which will keep it from getting dry. Once it is cooked through (about 10 -15 minutes), remove from pan and dice. Return to pan and add rest of ingredients, including 1-1/2 to 2 cups of squash. Cook for a few minutes to heat through. Place a few spoonfuls into the middle of a warm tortilla and fold into a burrito. *Use your judgement to determine how much of this mixture you want to be squash. Also, keep in mind how much filling you put in the middle. Remember that it is important to keep portions small, yet appropriate. I minced their filling up really well, as you can see in the not-so-great picture above and pressed the burrito really flat to make it easy to handle and help make the texture more even. I hadn’t thought to share this with all of you before they gobbled it up and sadly didn’t take any pics of the finished product. The burritos are just one example of applying the strategy I described above. Don’t stop there. Think about adding chunks of tomato or zucchini to corn bread, spinach to jarred spaghetti sauce, pumpkin to your pancakes, or red peppers in your rice. Whenever I”m making something, especially a carb, I’m also thinking of a way to get the most nutrition out of it. 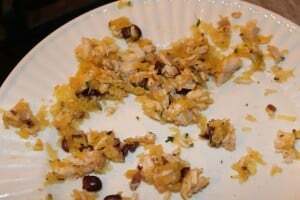 There are many recipes that can be easily modified. Click through on the links for those recipes! Have an idea or something that you’ve tried, PLEASE share, I and other’s reading would love to hear from you! Don’t forget to follow along on Pinterest, I’m always posting new recipes from all over that fall into the strategies you learned here! The only time my kids eat their fruits and veggies is when I hide pureed vegetables into omelets, dumplings, quesadillas and even pastries. Desserts made with pureed fruit are easily a hit at home and they are super easy to make. I think your worry is rubbing off on her 🙁 That sounds like a lot of food to be trying to down in a day. How about just having some handy healthy foods around and letting her eat at will? Maybe then she will have time to get hungry and want to eat and develop a schedule that works for her. I got very anxious when I was a kid and that made my stomach sick so I didn’t want to eat. Kids are very susceptible to our emotions and feelings. 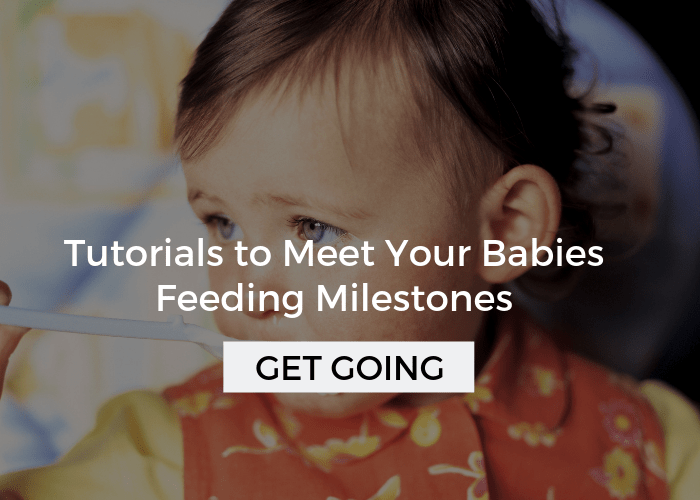 Maybe just have her sit with the family at mealtime but don’t be concerned if she doesn’t eat. Ooops I missed out 6pm meal which would be a plate containing either a fish portion or some pasta if we haven’t had that at lunchtime with a salad of vegetables and fruit. I forgot to mention she HATES any sort of vegetables and fruit…we have managed to get her to eat broccoli … a couple of heads and she won’t eat or even touch any fruit she hates it with a passion….I also do a fresh fruit drink at 2pm mealtimes for us all and we always eat as a family and at the table together. I’ve tried mixing vegetables such as cauliflower, cabbage and carrots in with mashed potatoes and I’ll throw in some garlic, add full cream milk and a nob of butter to the puree and I’ve even gone to the lengths of blending peppers, green beans, and onions together and then adding them to the potatoes as a puree and it has worked a few times but not always….I’ve been know to add apple and pear too because they are white and she has ate it and said it was tasty but then that is her one day and the next time she hates it. I’m impressed with all of the stragtegies you’ve put into place and all the basics you have covered. Unfortunately, sometime kids develop aversions after an illness and can become very sensitive to new textures. It is hard for me to say why she is losing weight, I’m wondering if you could see a dietitian or nutritionist that could assess her caloric intake and make recommendations. I would want you to run it by your doctor, but there is a product called duocal that you can mix into foods- it isn’t a long term solution but may give you some peace of mind. It is odorless, tasteless, and texture-less. As far as getting her more comfortable with foods I would start where she is and try to slowly get her to interact with the food in a positive way. See the post: Exploring New Foods in the article index at the top. I would remiss in saying that I would also consider a feeding evaluation or a consult with me- no pressure. There are many layers to this and she will need a program put together to help her truly move past this. Please let me know if I can be of anymore help. 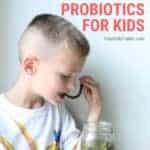 Hi I have a 5 year old daughter who is a very picky eater. We have tried everything to get her to eat a good balanced diet but to no avail. She is 116cm tall and weighs just 15.3kg…..she’s losing weight instead of gaining weight. We have been to see her peditrican who doesn’t seem to think there is anything wrong with her. She was breast fed as a baby until she was 9 months and when she was weaned unto solid food she ate everything and refused nothing. She loved all sorts of fruit and vegetable purees etc and never once showed any signs of being a fussy eater until she had a bad cold. I have seen her gag many times and know that she is scared to eat certain foods thinking that she will be sick. We do offer a well balanced diet to her of 3 main meals per day with healthy snacks in between. 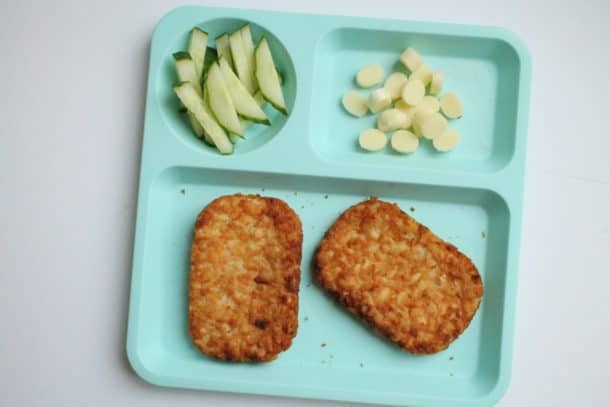 Daily eating would be 8.00am breakfast either cereal and toast or egg and toast with glass of warm milk, 11.00 mid morn snack in school which is varied from a sandwich to piece of fruit each day, 2.00 is main lunch time meal where we will offer a plate containing either pasta, rice, salad or potatoes with fish, meat, chicken or pork and various vegetables (minimum 3 vegetables). Fruit and bread are always offered and sometimes a healthy pudding. 5pm another snack of cheese, lots of different nuts and raisins, yoghurt and sometimes if she is still hungry a little soft roll or bap. 8pm is supper time which would be either glass of warm milk with toast if she hasn’t had a roll at 5pm or ready brek cereal type with 8 different vitamins. I am at my wits end to know what to do and understand why she is losing weight. She lost a kilo in just a week. She will eat and pick at her food and I do try to make sure that there are two of the things that she definitely likes but each meal time almost runs into the next one …well it feels that way because it takes her soooooooooooooooo long to eat a little which is nothing really. She will have a few good days when she eats really really well and then the next week she eats practically nothing and would definitely go without food if she wasn’t forced to eat a little. I don’t me I force her to eat but saying that instead of eating the whole plate she has to eat 10 spoonfuls…and I have seen this working but then again sometimes we just get tears and the gagging starts and then she complains of having a sore stomach. I’ve taken her to the hospital and the doctor there more or less laughed at me thinking I was a loopy mother and over anxious. I myself am not by any means fat and a little underweight for my height but very healthy. Being thin doesn’t worry me but it’s just that she continues to grow tall and loose more weight. It would be great to hear what you would recommend.